The Sengoku Period in Japan (from around 1493 (or 1467) to around 1573) is a chronological period in the history of Japan that commenced from the Coup of Meio in 1493 or the Onin Disturbance in 1467 and ended by the disappearance of the Muromachi bakufu (Japanese feudal government headed by a shogun) with the purge of Yoshiaki ASHIKAGA by Nobunaga ODA, the fifteenth shogun, of the Muromachi bakufu, in 1573. Sometimes, a part of the Muromachi Period or from and after Nobunaga&apos;s visit to Kyoto is segmented as the Shokuho (Azuchi-Momoyama) Period. The power of the bakufu had been significantly weakened, and sengoku daimyo (Japanese territorial lords in the Sengoku Period) emerged in various places all over Japan. Sengoku daimyo repeated battles among them almost constantly and strengthened the tendency to rule monitically (centralized control) land and people in their own territory. Such strong control by sengoku daimyo over their own territory is called a daimyo-ryogoku system (the system in which daimyos control feudal domains). The word origin was the expression "sengoku no yo (period of warring states)" by the court nobles at that time comparing the troubled social conditions since the Onin Disturbance to the troubled times in the "Chunqiu and Zhanguo periods (Spring and Autumn period and the Warring States period)" in ancient China. In the section "Shugo (provincial military governor) should give high priority to honesty" in "Shodanchiyo" by Kaneyoshi ICHIJO, it is described as "the term of office for kokushi (provincial governor) was four years a term and although the present shugo corresponds to kokushi in the former time, they are equivalent to the Twelve Feudal Lords in the Chunqiu period and the Seven Influential Lords in the Zhanguo period, because they govern and succeed the fief from father to son. "In the article for April 16, 1508 in "Gohojoji Hisamichiko Ki," a diary of Hisamichi KONOE, it is described as "Same as in the Zhanguo period. "As clearly understood from the simile expression such as "equivalent to" and "same as," the word "sengoku no yo" as used by court nobles at that time directly denoted the Zhanguo period in ancient China. 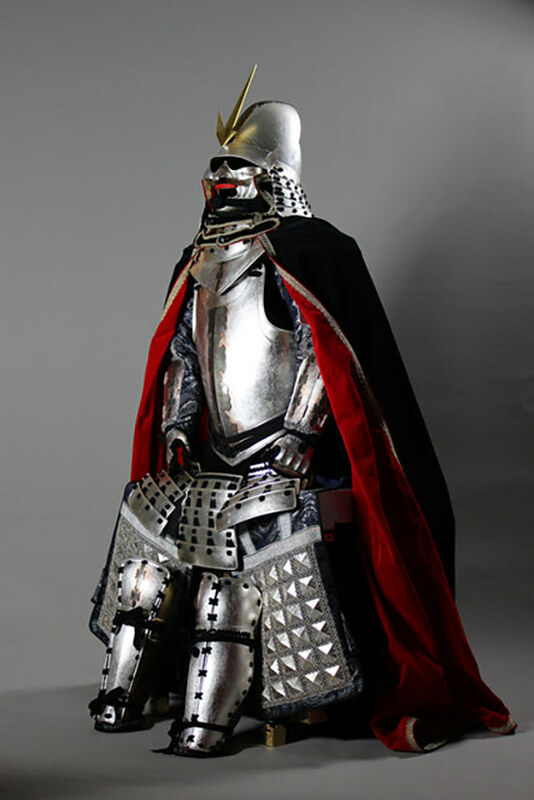 In Article 20 of "Koshuhatto no shidai" (bunkokuho (the law individual sengoku-daimyo enforced in their own territory) for the Koshu area) enforced by Shingen TAKEDA, it is set forth as "Since the world is in the warring state, give priority to preparation of arms and armors to other matters. 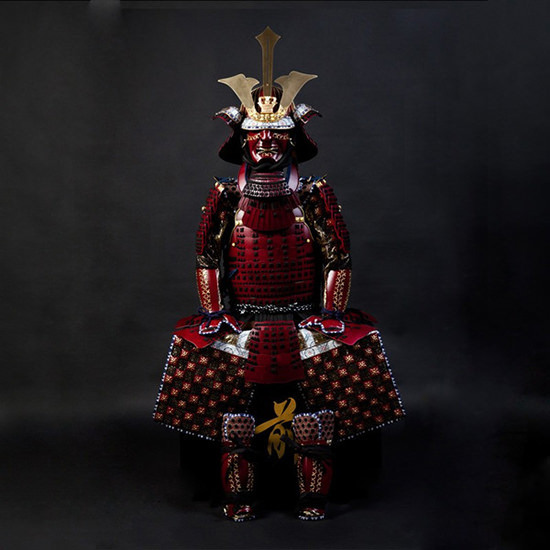 "Samurai at that time had an understanding that the period in which they were living was the period of warring states. In Volume 11 of "Nihon Gaishi (historical book on Japan)," which was one of the bestsellers in the Edo Period, it is described as "Later in sengoku (period of warring states), such military forces were divided and owned by local barons (snip) after teaching them, Takeda and Uesugi became the best fighters. Therefore, the gist of military force of our country was at its peak at that time. "(Source is written in classical Chinese)In "Nihon Gaishi" which was written in classical Chinese, however, the frequency of the usage of the word "sengoku" is unexpectedly small. In kodan (art of public storytelling) and rakugo (traditional comic storytelling), which were popular among the general public, the expression "the periods of Genki, Tensho" was common. General use of the term "Sengoku Period" as a section in the history of Japan was commenced only in the Meiji period. With respect to the date of the commencement of the Sengoku Period, there are several different views. In the past the view that the Sengoku Period started at the time of Onin War, which commenced in 1467, was prevailing, but the bakufu functioned as the central government even after that. Major scale commotions in the bakufu-shugo system that supported the power of the bakufu as the central government is observed as commencing in the period around 1490. However, the bakufu system as the central government fell down because of the Coup of Meio. Therefore, at present, the view that the Sengoku Period commenced in 1493 with the Coup of Meio is prevailing. Also, for its time of termination, there exist multiple views. According to the prevailing view, it was 1573 in which Nobunaga ODA ousted the then present shogun, Yoshiaki ASHIKAGA. To be precise, however, this is the end of the Muromachi Period and the beginning of the Azuchi-Momoyama Period. (To be more precise, there are multiples views on the time of the beginning of the Azuchi-Momoyama Period. )As described above, the Sengoku Period is a chronological period that overlaps with the Muromachi and Azuchi-Momoyama Periods. One view on the end of the Sengoku Period, it was 1576 in which Nobunaga launched at Azuchi and jumped to "tenkabito (the ruler of the country)," and in another view, it was 1590 in which Hideyoshi TOYOTOMI made the Gohojo clan surrender, resulting in the completion of the military activities for the unification of the whole country. It was a period in which chronic conflict continued, but it does not necessarily mean that wars occurred every day. Old authorities that had been backed up by the Muromachi bakufu began to be negated and emerging powerful persons rose to new establishment and governed territories. This is called gekokujo (an inverted social order when the lowly reigned over the elite). 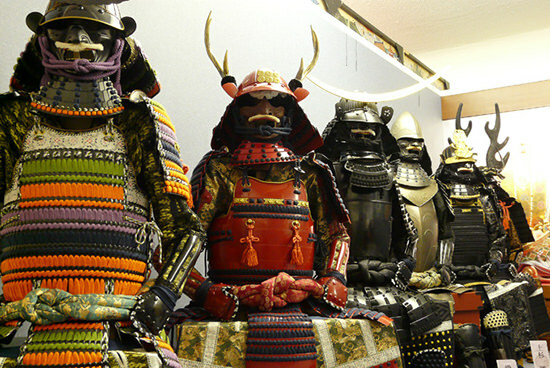 Sengoku daimyo (daimyo (Japanese territorial lord) in the Sengoku Period) with various backgrounds appeared. As Yoshinori ASHIKAGA, who had administered affairs of state, also known as "Everyone&apos;s fear," died in the Kakitsu War, the power of the Muromachi bakufu declined rapidly. For example, in Kanto, Kamakura Kubo (Governor-general of the Kanto region) escaped to Koga-jo Castle and, using the name of Koga Kubo, started a total war with the Uesugi clan that was Kanto Kanrei (a shogunal deputy for the Kanto region) (Kyotoku Disturbance), and Masatomo ASHIKAGA, who was dispatched by the shogun as the successor of Kamakura Kubo, could not enter Kamakura (Horigoe Kubo). Quarrels between gozoku (local ruling families) occurred in Kaga and Yamato, and even in Kyoto which was the shogun&apos;s home city, tokusei ikki (an uprising demanding debt cancellations) occurred frequently. Under such situations, a fight over succession for shogun occurred and in addition, struggles for power between shugo daimyo (shugo, which were Japanese provincial military governors that became daimyo, which were Japanese feudal lords) such as the Yamana clan and Hosokawa clan and a fight over succession to family headship in the Hatakeyama clan and Shiba clan occurred resulting in the occurrence of the Onin Disturbance. Shugo daimyo of various places in Japan, such as the Ouchi clan and the Takeda clan from Wakasa, came to the capital, Kyoto, and the war for which the capital was the battle field, continued for ten years. This war ended as a victory of the Hosokawa clan as seen in the decline of the Yamana clan and retreat of the west squad including the Ouchi clan from Kyoto. A clear result of such victory did not remain, however, it influenced later events. In addition, as the Hosokawa clan sent during the Disturbance, busho (Japanese military commanders), into the territories of the Yamana clan to cause confusion in the territory, causes of conflict continued to exist in various places. Even after the Disturbance, the power of the bakufu as the central government remained. For attacking Omi shugo (Military Commissioner of the Omi Province, Takayori ROKKAKU, who stood against the shogun, in 1487, many daimyo of the areas near Kinai (provinces surrounding Kyoto and Nara) such as Owari and Wakasa joined and also for the attack on Kawachi by Yoshitane ASHIKAGA in 1492, many troops joined. During such an attack on Kawachi, in April 1493, kanrei (shogunal deputy), Masamoto HOSOKAWA succeeded in the Coup of Meio, which was a coup d&apos;etat to abolish and elect the shogun, and real power was shifted to the Hosokawa clan. The shogun became an existence that stayed at with daimyo in various places. After Masamoto&apos;s death, even the Hosokawa clan was split into two fractions, for Harumoto and Takakuni, increasing chaos. Here, the force of the central government to provinces declined and the lawless era, in which gozoku (local ruling families) in various provinces developed power or relied on others who had power, commenced. Those who developed power and became independent are called sengoku daimyo (Japanese territorial lord in the Sengoku Period). This Coup of Meio was an action to oust the shogun, Yoshitane ASHIKAGA (a son of Yoshimi ASHIKAGA) and to make Seiko shogun. On the other hand, Yoshiki ASHIKAGA escaped from Masamoto&apos;s hand and ran away to a province and provinces in the Kinki area were split into two fractions, one for Yoshitane ASHIKAGA and the other for Yoshizumi ASHIKAGA (fraction for Masamoto HOSOKAWA). Masamoto HOSOKAWA, who had been extremely domineering, was assassinated by Motonaga KOZAI, Nagatada YAKUSHIJI and so on (Eisho Disturbance in 1507). The Hosokawa clan was also split into two factions, one for Sumimoto HOSOKAWA and the other for Takakuni HOSOKAWA and they quarreled with each other (Sumiyuki was killed by Takakuni. )Taking advantage of such a situation, Yoshioki OUCHI of the Suo Province came up to the capital accompanied by the former seii taishogun (literally, "great general who subdues the barbarians"), Yoshitane ASHIKAGA (former Yoshiki ASHIKAGA, and later changed again to Yoshitane ASHIKAGA) in 1509. Takakuni supported Yoshitada in cooperation with Yoshioki OUCHI and Sumimoto supported Yoshizumi and they stood against each other. As Yoshizumi ASHIKAGA died in 1511, Sumimoto&apos;s side became inferior in power. Although Sumimoto moved between Kyo and Shikoku several times, he could not take back power and died in Awa in 1520. In 1521, Takakuni HOSOKAWA ousted Yoshitane ASHIKAGA and received Yoshiharu ASHIKAGA (a son of Yoshizumi ASHIKAGA) as shogun. In 1526, a battle started between Kataharu YANAGIMOTO, who was accompanied by Harumoto HOSOKAWA (a son of Sumimoto), Yoshitsuna ASHIKAGA, and Takakuni HOSOKAWA. Kataharu YANAGIMOTO conquered the area around Kyo. In 1530, Kataharu YAMAGIMOTO was assassinated. In 1531, Muramune URAGAMI of Harima and Takakuni HOSOKAWA died in the battle at Tennoji and Harumoto HOSOKAWA took power. In 1543, Ujitsuna HOSOKAWA, insisting that he was the successor to Takakuni, fought with Harumoto HOSOKAWA. In 1547, Nagayoshi MIYOSHI seceded from Harumoto HOSOKAWA and joined Ujitsuna&apos;s side. In 1548, Nagayoshi MIYOSHI ousted Harumoto HOSOKAWA and Yoshiharu ASHIKAGA. In 1552, Nagayoshi MIYOSHI made peace with Yoshifuji ASHIKAGA (Yoshiteru ASHIKAGA). In 1564, Nagayoshi MIYOSHI passed away. In 1565, Yoshiteru ASHIKAGA was assassinated by Miyoshi sanninshu (three chief retainers of the Miyoshi clan). In 1566, Miyoshi sanninshu and Hisahide MATSUNAGA had a conflict between them and quarrels in various places in Kinai. In 1567, Nobunaga OSA entered Kyoto. 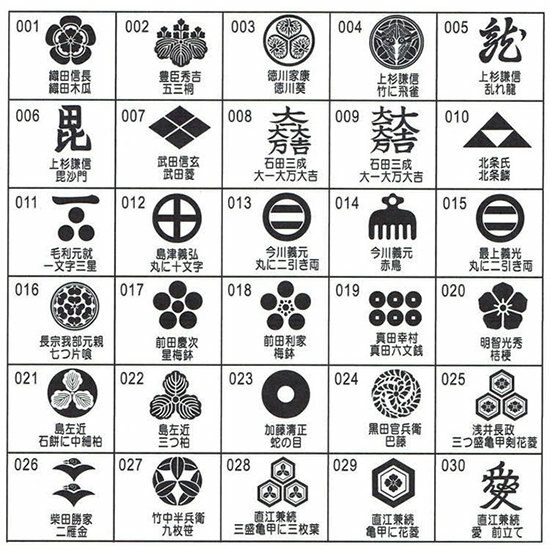 As seen in the above descriptions, the power holder was shifted from the Ashikaga clan to Hosokawa Keicho family (kanrei-ke (families in the position of the shogunal deputy)) and then to the Miyoshi clan. As the Hosokawa clan was formally kanrei-ke, it had authority to control the administration. However, as the Miyoshi clan, which was an indirect vassal of the Hosokawa clan, was a mere gozoku in Awa-Muya, it could not normally obtain authority to control the administration. Here, dis-empowerment of the Muromachi bakufu of the Ashikaga clan became clear. In fact, at around this time, Shingen TAKEDA, Kenshin UESUGI, Ujiyasu HOJO, Yoshishige OTOMO, Takahisa SHIMAZU and so on, who were commonly referred to as sengoku daimyo by people in contemporary Japan, started their energetic activities, and disturbances gained momentum all over Japan. Backed up with powerful military force with which the Kinki province and surrounding areas were conquered, Nagayoshi MITYOSHI ousted the Ashikaga clan. Because the legitimacy of the government by the Miyoshi clan was low, reactions by gozoku in the vicinity were prompted and it yielded to Yoshiteru ASHIKAGA after four years. After Nagayoshi MIYOSHI&apos;s death, the government by the Miyoshi clan strayed and easily abandoned Kyo to Nobunaga ODA who succeeded with the support of Hisahide MATSUNAGA, Kofuku-ji Temple, Nagamasa AZAI, and so on. (For information on the government by the Miyoshi clan commenced from Nagayoshi MIYOSHIA, refer to "Sakaikubo" (the municipal government based in Sakai City). The Battle of Itsukushima that triggered Motonari MORI&apos;s governance of the Chugoku region occurred around this time. In 1568, the situation of the Sengoku Period was completely changed by the marching into Kyoto by Nobunaga ODA of the Owari Province accompanying Yoshiaki ASHIKAGA. Nobunaga, under the name of Yoshiaki, issued orders to various daimyo beginning to walk through his road to tenkabito (the ruler of the country). After entering Kyo, the first thing he did was to make commercial towns such as Otsu, Sakai, and Yamazaki his directly controlled areas. He also carried out administration of Kyoto as seen in the fact that, in 1568, he gave permission to Luis Frois to live and be engaged in missionary work in Kyoto. Around this time, in relation to Nobunaga&apos;s movements, each region started to move toward unification. They were the Gohojo clan, Takeda clan, Nagao clan, Mori clan, and so on. Such daimyo all over Japan fought with each other and split into a group for Nobunaga and a group against Nobunaga. Under the leadership of shogun Yoshiaki ASHIKAGA, anti-Nobunaga forces such as Yoshiaki ASHIKAGA, Hieizan (Enryaku-ji Temple), Hongan-ji Temple, Shingen TAKEDA, Kenshin UESUGI, Yoshikage ASAKURA, Nagamasa AZAI, Hisahide MATSUNAGA, Miyoshi sanninshu, and Terumoto MORI gathered together and established encircling formation. However, they were defeated individually and collapsed and Yoshiaki ASHIKAGA was ousted from Kyoto. (The form of bakufu barely continued in Tomonoura in Bingo. )Then Hongan-ji Temple, which was afraid of losing their interests, opposed Nobunaga and offered resistance for ten years by mobilizing ikko ikki (an uprising of Ikko sect followers) all over Japan (Ishiyama War). Nobunaga ODA defeated all of such opponents. By the time he himself was killed in the Honnoji Incident in 1582, he had conquered the central part of Japan and had virtually accomplished everything up to the verge of unification of the whole country. His successor, Hideyoshi TOYOTOMI promulgated sobuji rei (Peace edicts) unifying whole Japan nominally. In addition, he achieved taiko kenchi (the cadastral surveys conducted by Hideyoshi), katanagari (disarmament of farmers), social status regulation edict, unification of currency, unifying everything in Japan which were different region by region. After Hideyoshi&apos;s death, Ieyasu TOKUGAWA won the Battle of Sekigahara, carried out the change of daimyo&apos;s territories autocratically, subverted the Toyotomi clan in Osaka no Eki (the Siege of Osaka) and made all daimyo acknowledge and confirm that the Tokugawa clan became the virtual ruler of Japan. Execution of Ikkoku Ichijo Rei (Law of One Castle per Province) was a declaration of intention by all daimyo "not to make war. "And, then, in the middle stage of the Edo Period after the death of the third shogun, Iemitsu TOKUGAWA, a conversion by the bakufu from a ruling backed with military force to a ruling by a civilian government can be deemed as the end of governance by force. Almost all sengoku daimyo were from shugo daimyo (shugo, which were Japanese provincial military governors, that became daimyo, which were Japanese feudal lords), shugodai (deputy of shugo, provincial constable) and kokujin (local samurai). Some of them were from kokushi (provincial governors)(Kitabatake clan) and nobles (Tosa Ichijo clan). 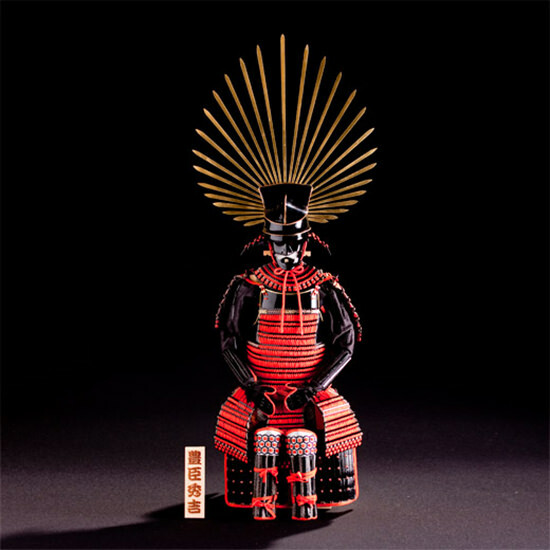 In rare cases, certain sengoku daimyo were from a low status and such cases are deemed examples of gekokujo (an inverted social order when the lowly reigned over the elite) which was the trend at that time. Sengoku daimyo governed their own territory in an integrated fashion. Such territories had high-level independence and their real status was such that they could be called a regional state. Such a governing system by sengoku daimyo within a regional state is called the daimyo-ryogoku system (the system where daimyos control feudal domains). However, sengoku daimyo was not necessarily a transcendental existence. Sengoku daimyo organized kokujin and hikan (low-level bureaucrat) as vassals. In reality however, such kokujin and hikan formed the power base for sengoku daimyo. Sengoku daimyo subsisted by support from the relationship formed by kokujin and hikan as vassals. Sengoku daimyo that had no capability to protect the interests of kokujin and hikan were often ousted. 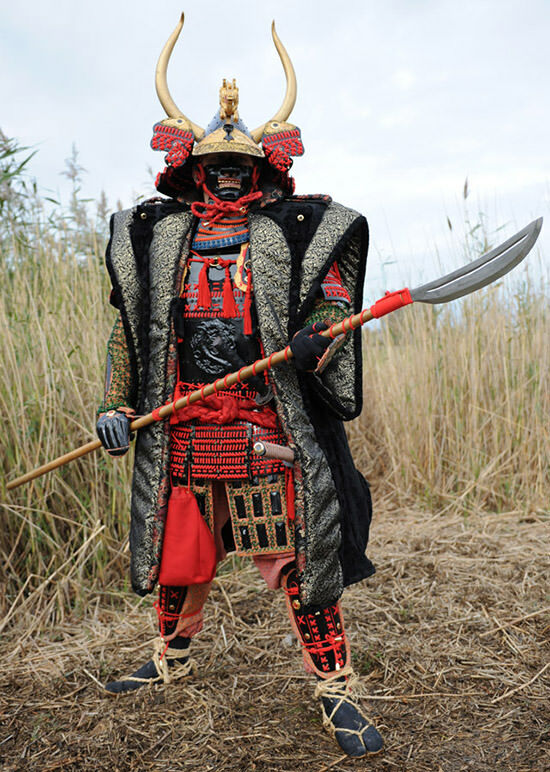 Many of sengoku daimyo in the Tohoku Region were transformed from clans with a long and distinguished history that owned land for generations since the Kamakura period. An exception was the Kakizaki clan, which announced themselves as the descendants of the Wakasa Takeda clan (in reality, from a merchant? ), and it unified small and middle-sized gozoku in the area along the Tsugaru Straits. The Tohoku Region was hardly involved in turbulences in the Kanto Region and no trace of influences from political strife in the central part of Japan can be observed. 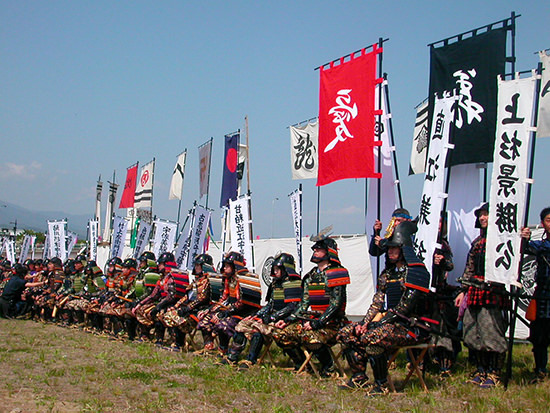 With respect to wars, disputes over territories are prominent as seen in sending troops by the Nanbu clan to Senboku and Kazuno since the first half of the fifteenth century (this war over Kazuno continued until around Eiroku Era) and invasion into the Kahoku region by the Date clan. Even the Tohoku Region could not be uneventful as seen by the fact that Sasagawa-kubo and the Shiba clan (governor of Mutsu Province) were subverted. Also, a sprout of gekokujo could be seen in the fact that Tanemune DATE assumed the position of Mutsu shugoshiki (provincial constables of the Mutsu Province) in 1522 over the head of the Osaki clan (in the post of Oshu Tandai (supervisors for the civil government and military affairs in Mutsu Province)) and his son. In 1542, Tanemune DATE and his son began conflicts with respect to the reigns of the family and it developed into a great uprising involving many daimyo in the Ou Region that had blood relationships (Tenbun Turbulence). In the process of this turbulence, Harumune DATE succeeded to firmly establish the system as a sengoku daimyo by reconfirming the contract relationship with kokujin ikki (rising of kokujin) in the run up to other daimyo in the Ou Region. After that, in various clans such as Ashina, Tamura, Iwaki, Mogami, and Nanbu had struggles with respect to inheritance of the reigns of the family had been transformed into sengoku daimyo through unification of relations between kokujin ikki and daimyo. Each sengoku daimyo formed the central power of influence in each region by being authorized to execute various powers such as "jurisdiction," "demand for military assistance," and "collection of Tansen (tax on rice fields)" by the Muromachi bakufu in place of the existing daimyo and then had their vested interests confirmed by Oshu-shioki (repression of the Oshu region) by Hideyoshi TOYOTOMI as the new central government. There remain issued documents for approval of a landowner as of the forth quarter of the sixth century, Akita-gun for the Ando clan (Uekuni family and Minato family), Nukanobu region for the Nanbu clan (Sannohe Nanbu clan (or, Morioka Nanbu clan)), Osaki region of the Osaki clan which was Oshu Tandai, Tome-gun for the Kasai clan, Mogami and Murayama regions for the Mogami clan which was Ushu Tandai, Shinobu-gun, Date-gun, Okitama region, Katta-gun, Shibata-gun, and Miyagi-gun for the Date clan, Aizu Yama-gun, Onuma-gun, Kawanuma-gun, Kanbara-gun, Asaka-gun, and Iwase-gun for the Ashina clan, Adachi-gun for the Nihonmatsu clan (Hatakeyama clan), Tamura-gun for the Tamura clan, Shirakawa-gun for the Mutsu Ishikawa clan and Shirakawa Yuki clan, Namegata-gun (Iwaki Province), Uda-gun and Shineha-gun for the Soma clan, and Naraha-gun, Iwaki-gun, Iwasaki-gun, Kikuta-gun and Taga-gun for the Iwaki clan. In Kanto, even before the occurrence of the Onin Disturbance in Kyoto, three great uprisings, the Kyotoku Disturbance, Chokyo Disturbance, and Eisho Disturbance, occurred successively and Koga-kubo, the Yamanouchi-Uesugi family that was Kanto Kanrei (shogunal deputy for the Kanto region) and its branch family, the Ogigayatsu-Uesugi family, competed for dominance in a three-cornered struggle. Taking advantage of such situations, Moritoki ISE (Soun HOJO) subverted Horikoshi kubo in Izu and Soun&apos;s descendants proclaimed themselves the Gohojo clan. This Hojo clan and the Uesugi clan struggled for the supreme ruler in Kanto and by the night battle of Kawagoe in 1546, the power of the Uesugi clan declined. In 1552, the Hojo clan subdued Kogagosho (residence of Koga-kubo) and gained control of the Koga-kubo. The Yamanouchi-Uesugi clan was ousted from Kozuke and asked for help from Kagetora NAGAO (later, Kenshin UESUGI) and therefore the Hojo clan and the Nagao clan (later, inherited the Uesugi clan) struggled for Kanto. Kenshin UESUGI, who inherited Kanto Kanrei once sieged the Odawara-jo Castle, the residential castle of the Hojo clan, but he could not occupy it. This struggle between the Uesugi clan and the Hojo clan divided gozoku the whole of Kanto into two groups causing battles such as the Battle of Konodai between Ujiyasu HOJO and Yoshitaka SATOMI (UESUGI SIDE). In 1579, as Kenshin UESUGI died, the Satake clan in Hitachi, the Satomi clan In Awa and so on resisted against invasion by the Hojo clan but they could not prevent expansion of influential power of the Hojo clan. In addition, Yoshishige SATAKE (the eighteenth family head) was forced by the Date clan, that had been expanding its governance in Oshu, to fight both in the north and south sides. Later, when Hideyoshi TOYOTOMI issued sobuji rei (peace edicts), Uji masa HOJO resisted in alliance with Masamune DATE in Oshu and Ieyasu TOKUGAWA in Mikawa. However, the Hojo clan surrendered to the armed forces of Toyotomi that came both from the sea and the mountains with abundant military force. 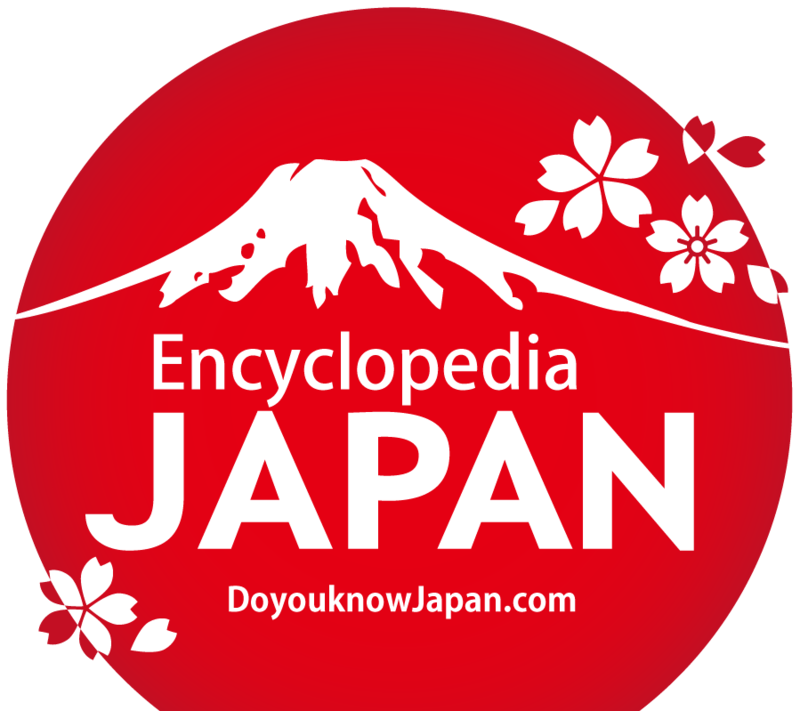 In August 1590, Ieyasu TOKUGAWA who was transferred to Kanto, entered the Edo-jo Castle. Later, in the process from the Toyotomi government until the formation of the Edo bakufu, old powers such as the Satake clan and Satomi clan, disappeared from Kanto by relocation or being deprived of their territory. In Kai and Shinano Provinces, the power of shugo had been weakened and influential kokujin made their own territory their base. In the Kai Province, the Takeda clan, that were descended from Kai-Genji (Minamoto clan in Kai) took sides with Zenshu UESUGI&apos;s disturbance and fell down, and struggled with situations until the sengoku period. In Shinano, kokujin ryoshu made their own territory their base such as the Ogasawara clan in Fukashi (current Matsumoto region), the Murakami and Takanashi clans in the northern Shinano, the Kiso clan in Kiso, the Suwa clan in Suwa and the Unno clan in the eastern Shinano. Nobutora TAKEDA unified the whole Kai Province and made Kofu his base. He also succeeded to make peace with neighboring countries and began invading into Shinano. However, he was ousted from the country by a rebellion by his eldest son and heir, Harunobu (Shingen) and senior vassals. Shingen TAKEDA brought invasion into Shinano at full swing. Backed up by the alliance of three countries, Kai, Sagami and Suruga, he began to attack Suwa and the Ogasawara clan and Murakami clan were ousted and Shinano became territory of the Takeda clan. Shingen occupied the position of Shinano shugo and repeated confrontation between Kai and Echigo (battles of Kawanakajima) with the Nagao/Uesugi clan in Echigo, that supported gozoku of the northern Shinano. In the late stage of Shingen&apos;s time, the strategy was changed from advancing northward to advancing southward and he invaded into Suruga and confronted with the Oda and Tokugawa clans in Owari and Mikawa. In the last stage of Shingen&apos;s time, they carried out the strategy to advance westward, but it was discontinued on its way because of Shingen&apos;s death. In Katsuyori TAKEDA&apos;s time, commotion in the territory occurred because of the defeat in the Battle of Nagashino and the Takeda clan was ruined by the attack by the allied forces of the Oda and Tokugawa clans and gozoku in Shinano rendered homage and service to the Oda clan. As the Takeda clan was ruined, Kai and Shinano were distributed to vassals of the Oda clan. When Kai and Shinano became vacant because of the Honnoji Incident (the Raid on the Honno-ji Temple (in 1582, in which Nobunaga ODA was killed)), the Tenshojingo War by the Tokugawa clan and Gohojo clan occurred with respect to the former territory of the Takeda clan and the Tokugawa clan, that won the War, obtained Kai and Shinano. When the Tokugawa clan was shifted to Kanto by the Toyotomi government, gozoku in Shinano also moved to Kanto. Among them, there are cases where a former vassal of the Takeda clan became a modern daimyo like the Sanada clan. There were many families which were given important positions under the Tokugawa government as seen in the fact that the Hoshina clan was inherited by Masayuki HOSHINA, who was an illegitimate child of the shogun, Hidetada TOKUGAWA, and the Ogasawara clan was given Buzen Kokura to keep an eye on Kyushu. The Echigo Province was governed by the Uesugi (Nagao) clan, the Kaga Province by ikko ikki (the uprising of Ikko sect followers), the Noto Province by the Hatakeyama clan, the Echizen Province by the Asakura clan, and the Ecchu Province by the Jinbo clan, Shiina clan and so on. In the Echigo Province, shugodai, the Nagao clan, assumed the real power and gave birth to Kenshin UESUGI and almost took control of the Hokuriku Region by 1576. In the Kaga Province, ikko ikki overthrew shugo, the Togashi clan, and established the "Hongan-ji kingdom" and carried out autonomous control for a hundred years. In every country, how to handle this power was a big problem. The Jinbo clan in Ecchu allied with ikko ikki, with which the Jinbo clan stood against at first, but they were subjugated by the allied forces of the Uesugi clan in Echigo, the Hatakeyama clan which was shugo and the Noto-Hatakeyama clan. Even after that, ikko ikki repeated struggles with the Uesugi clan, Asakura clan and so on and, after the Asakura clan was ruined, it controlled Echizen also, but, they were defeated and annihilated by Nobunaga in the Ishiyama War. The Asakura clan in Echizen was at the height of its prosperity as it defeated ikko ikki and received nobles from Kyo in Ichijotani, which was the base of the clan. Then, the Asakura clan struggled with Nobunaga ODA for tenka (the realm), but it was defeated and ruined in 1573. In Noto, shugo, the Hatakeyama clan, was annoyed by high-handedness by senior vassals, such as the Yusa clan, Cho clan and so on, and internal conflicts were repeated. In 1576, the Hatakeyama clan surrendered to the Uesugi clan and was ruined. The Imagawa clan in the Suruga Province, the Shiba clan in the Totomi Province, the Matsudaira clan in the Mikawa Province, the Shiba clan in the Owari province and the Toki clan in the Mino Province governed the whole country as their base respectively. As the Shiba clan lost Echizen because of revolt by the Asakura clan, it took Owari as its base. This Shiba clan lost their power as it was defeated by the Asakura clan in the war to recover Echizen and also defeated in political struggle in Kyoto and Totomi was invaded by the Imagawa clan and, in Owari, it became a puppet for shugodai, the Oda clan. The Matsudaira clan expanded its territory remarkably under control by Kiyoyasu MATSUDAIRA, but, as Kiyoyasu was killed by a vassal in Moriyama kuzure in 1535, it surrendered to the Imagawa clan. 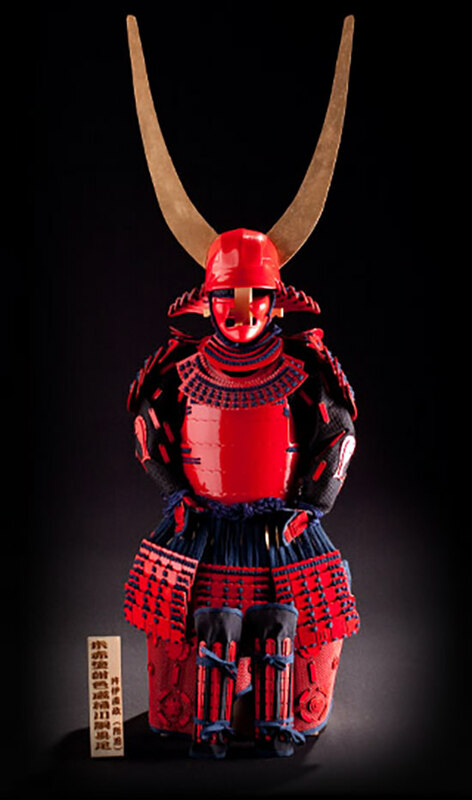 With respect to the Imagawa clan, Ujichika IMAGAWA and Yoshimoto IMAGAWA increased its power. After forming a tripartite alliance with the Takeda clan in the Kai Province and the Hojo clan in Kanto (Zentokuji no kaimei (literally, meeting for alliance in Zentoku-ji temple)), it proceeded westward. When it sent troops to Owari to attack the Oda clan, however, Yoshimoto was killed in the Battle of Okehazama and the Imagawa clan declined. With respect to the Toki clan in Mino, internal conflict was developed and Dosan SAITO took advantage of the situation and exiled his master and became the lord of the Mino Province. With respect to Owari, Nobunaga ODA from koribugyo (a magistrate of a county) of shimo shugodai (deputy of shugo (provincial constable) for shimo yongun (literally, four gun in lower Owari)) became the lord of Owari by taking advantage of internal conflict between kami and shimo shugodai. After killing Yoshimoto IMAGAWA in war at Okehazama, Nobunaga made an alliance with the Matsudaira clan in Mikawa. Then, he commenced attacking Mino and, after obtaining Mino by a spending five-year period, placed his base in the Inabayama-jo Castle and started to take part in administration of state. On the other hand, Motoyasu MATSUDAIRA in Mikawa, while supporting Nobunaga ODA&apos;s battles with his own troops, subjugated Mikawa and Totomi and changed his name to Ieyasu TOKUGAWA. Although the Takeda clan in Kai ruined the Imagawa clan and defeated troops of Tokugawa and Oda in the battle of Mikatagahara, its westward advance was stopped because of Shingen&apos;s death. When troops of Oda and Tokugawa defeated the troops of Takeda in the Battle of Nagashino in 1575 thanks to the power of guns, the troops of Tokugawa obtained Totomi and Suruga, which were territories of Takeda, in 1582. After Nobunaga ODA was killed in the Honnoji Incident, the troops of Tokugawa invaded Koshin, which were territories of Oda, and put them under its control. In 1590, after whole country was conquered by Hideyoshi TOYOTOMI, Ieyasu was ordered by Hideyoshi to move to Kanto and Ieyasu took Edo in Musashi for his base. 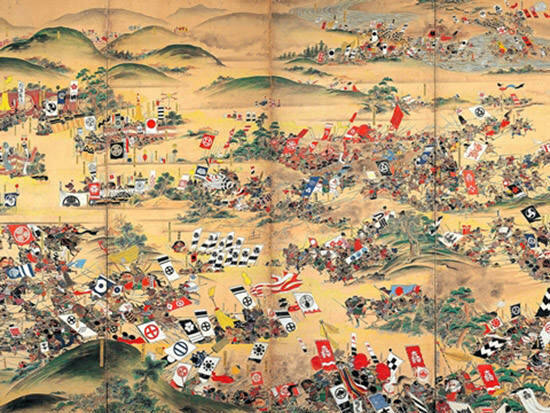 Later, Ieyasu won the Battle of Sekigahara, which occurred after Hideyoshi&apos;s death, and opened the Edo bakufu. In the early stage in the Kinai region (provinces surrounding Kyoto and Nara), struggles between the family of Ashikaga shogun and kanrei, the Hosokawa clan were repeated. However, it seems that these struggles were caused by the local power mainly consisting of the Ouchi clan that used the Ashikaga clan to interfere with political affairs in the central government. When the Hosokawa clan was weakened because of an internal struggle of power, the Rokkaku clan in Omi Province increased its interference under the pretext of assistance to the Ashikaga clan. In Omi, the Kyogoku clan in Kitaomi (northern Omi), which was a branch family of the Sasaki clan and the Rokkaku clan in Minamiomi (southern Omi) contended for majesty. The Kyogoku clan was robbed of real power by the Aｚai clan, that was a kokujin under its Kyogoku&apos;s control and then struggles between the Aｚai clan and the Rokkaku clan continued. Basically, in each country, there were many cases in which shugo daimyo that was appointed by the Muromachi bakufu were transformed into sengoku daimyo. As their position was maintained with support by kokujin, their standpoint was a very weak one. The Hatakeyama clan in the Kawachi Province, the Yamana clan in the Tajima Province, the Isshiki clan in the Tango Province, the Takeda clan in the Wakasa Province and so on survived toughly through the Sengoku Period although they experienced the risk of being robbed of their territory by various powers surrounding them or they were annoyed with internal struggle between vassals. In the Kii Province, the power of temples and shrines, such as Koyasan, Negoro-ji Temple, Kumano Sanzan (three major shrines, Kumano-Hongu-Taisha Shrine, Kumano-Hayatama-Taisha Shrine and Kumano-Nachi-Taisha Shrine) and so on, was strong and power to control shugo, the Hatakeyama clan, was limited. 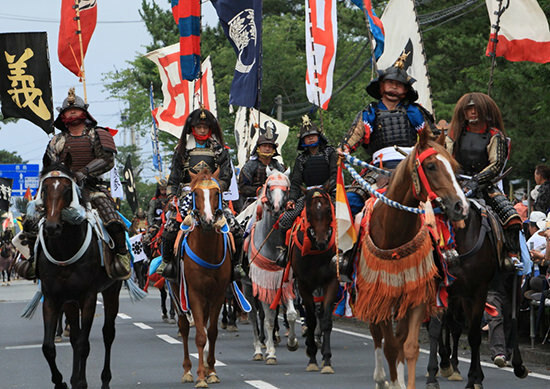 Jizamurai (local samurai) in Kii formed groups such as Negoroshu and Saigashu and carried out regional autonomy under the cover of religion. The above-mentioned internal conflicts of the Ashikaga clan and Hosokawa clan were conducted involving gozoku in the surrounding areas such as the Rokkaku clan, the Akamatsu clan, the Uragami clan, the Hatakeyama clan and the Tsutsui clan. However, real turbulence occurred after the Miyoshi clan took over the government. They controlled, in addition to their territory, the Awa Province, the Sanuki Province, the Awaji Province, the Settsu Province, the Izumi Province, the Kawachi Province, the Yamashiro Province, the Tanba Province and the Yamato Province with raw power through their trusted retainers. However, it seems that they could not conduct complete control in each country. After confusion caused by Chokei MIYOSHI&apos;s death, such countries were conquered by Nobunaga ODA&apos;s entrance into Kyoto. In the early stage, there was conflict between Yoshioki OUCHI and Tsunehisa AMAKO. Yoshioki OUCHI increased his power by holding complete control of the tally trade (between Japan and the Ming dynasty) and for a certain period assumed the leadership in seven countries in Chugoku and Kyushu. He achieved going up to the capital (Kyoto) accompanying the shogun and was followed by many daimyo in the neighboring areas. Tsunehisa AMAKO, who was shugodai, robbed Toda-jo Castle and ousted shugo establishing the base in Sanin, such as Izumo, on one hand. On the other hand, he had battles with the Ouchi clan several times, but it was not brought to an end. In the Aki Province, which was located on the contact point of the both powers, kokujin in the whole country had a united effort to establish so (a type of community). Because they were wedged between great powers, one of the kokujin, Motonari MORI became the leader and changed to sengoku daimyo. As Motonari MORI betrayed the Amako clan and joined the side of the Ouchi clan, Haruhisa AMAKO marched on Yoshida Koriyama-jo Castle. 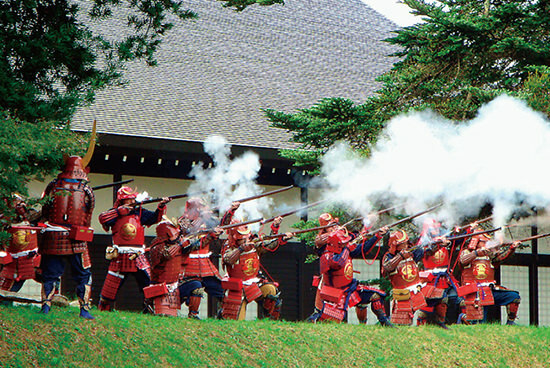 Motonari MORI asked Yoshitaka OUCHI for reinforcements and, after the arrival of reinforcements, he defeated the Amako clan (Yoshida Koriyama-jo no Tatakai (Battle of Yoshida Koriyama-jo Castle)). Yoshitaka OUCHI died because of internal conflict of the Ouchi clan, Haruhisa AMAKO, who became shugo for eight countries and the Sue clan, which used Yoshinaga OUCHI as a puppet acquired power and stood against each other, but the Ouchi clan was ruined by the attack by the Mori clan. In addition, in the Izumo Province, the Amako clan declined because of the sudden death of Haruhisa AMAKO. Attacked by the Mori clan, the Amako clan holed up in Gassan Toda-jo Castle, which was praised as impregnable, in the current Yasuki City, Shimane Prefecture, but surrendered after starvation tactics by the Mori clan (Gassan Toda-jo no Tatakai (Battle of Gassan Toda-jo Castle)). As a result, the Mori clan became the hegemony of Chugoku. When Hideyoshi TOYOTOMI of the force for attacking Chugoku of Nobunaga ODA attacked, Miki-jo Castle (Battle of the Miki-jo Castle), Tottori-jo Castle and Takamatsu-jo Castle (Bicchu Province) fell one by one, but the Mori clan narrowly escaped thanks to the Honnoji Incident. After that, the Mori clan became a subordinate of the Toyotomi clan and was actively involved in the Conquest of Shikoku, the Conquest of Kyushu and the Siege of Odawara, and Terumoto MORI assumed a position of as a member of Gotairo (Council of Five Elders). After Hideyoshi TOYOTOMI&apos;s death, Ieyasu TOKUGAWA and Mitsunari ISHIDA confronted each other and the Battle of Sekigahara occurred. As the Mori clan joined the West squad, its territories were decreased to 369,000 koku of the Suo Province and Nagato Province. Other major sengoku daimyo include the Uragami clan (Muramune URAGAMI) in Bizen, the Ukita clan (Naoie UKITA) also in Bizen and so on. Muramune URAGAMI was a senior vassal of the Akamatsu clan in Harima and on the occasion of Masanori AKAMATSU&apos;s death, conducted gekokujo and robbed the Harima Province, Bizen Province and Mimasaka Province from Akamatsu&apos;s territories. He also went up to the capital accompanying ruined Takakuni HOSOKAWA, but he was defeated by the Miyoshi clan and died in the war. In the era of Munekage URAGAMI, the Uragami clan was disrupted by the betrayal of the senior vassal, Naoie UKITA. Naoie UKITA, who acquired the Bizen Province, seemed to have the capability to understand the characteristics of the age and he surrendered when Hideyoshi HASHIBA entered Himeji-jo Castle in Harima and made his heir, Hideie UKITA, a hostage for Hideyoshi. However, Hideie was deemed as the leading busho (Japanese military commander) and condemned to exile and the Ukita clan, as a daimyo, was ruined. (His descendants maintained the family line in Hachijo-jima Island, where Naoie was exiled, and, even today, they maintain the family grave. Eastern Shikoku (the Awa Province and Sanuki Province) was not only close to Kinki, but the bases for power of the Hosokawa clan, it was involved in the political struggle in Kinki. However, as there was no power in the enemies in the neighboring areas and the lineup of feudal lords did not change until the war to unify Shikoku by the Chosokabe clan occurred. The Hosokawa clan governed Awa. Later, the Miyoshi clan in Muya virtually replaced, but the Hosokawa clan itself continued to exist until the Edo Period as Awayakata (yakata was a title given to privileged sengoku daimyo. )In the Sengoku Period, the Shozui-jo Castle was the base for governing Awa. In Sanuki, eastern Sanuki was controlled by shugodai, the Yasutomi clan. Later, the Sogo clan that accepted Kazumasa from the Miyoshi clan, increased its power as a daikan (local governor) of the Miyoshi clan and controlled eastern Sanuki since the early stage. In western Sanuki, the Kagawa clan, which was shugodai, opposed in cooperation with the Mori clan, the Miyoshi clan at first, but after the Zentsuji War, entered under control of the Miyoshi clan. When the Miyoshi clan declined however, they followed the Oda clan. In the Iyo Province, reportedly the Kono clan which was shugo, took the Chuyo region (central Iyo) as its base, and the Utsunomiya clan over Ozu and the Saionji clan in the Nanyo region (southern IYO). As it is long and thin geographically and mountainous and in addition, close to Chugoku and Kyushu, it was exposed always to interference by the Mori clan and Otomo clan, and could not have the power to unify the country and to invade into the other countries. When Chosokabe invaded however, they made a strong resistance. Although shugo for the Tosa Province should have been the Hosokawa clan, gozoku who called themselves nanashugo (seven shugo) (Tosa shichiyu (seven ruling families in Tosa)) took separately their bases in the central part of Tosa and accepted the Tosa-Ichijo clan, that was evacuated to Hata-gun as their leader. The Ichijo clan took part in political affairs in Tosa with the power that was approximately three times of that of nanashugo. Later, Kunichika CHOSOKABE and Motochika CHOSOKABE who succeeded in recovering thanks to help by the Ichijo clan unified Tosa by exiling nanashugo and the Ichijo clan. Ten years after the subjugation of Tosa, the whole of Shikoku was unified in 1585. It seems that the Awaji Province was ruled by the Hosokawa clan, which was shugo. Later, because of the Conquest of Shikoku by Hideyoshi, the Chosokabe clan was confined to one country, Tosa. As postwar measures, Hedeyoshi appointed reliable members as Iemasa HACHISUKA in Awa, Hidehisa SENGOKU in Sanuki and Takakage KOBAYAKAWA in Iyo. As samurai in Kyushu supported Heike (Taira family), trust to them by MINAMOTO no Yoritomo, who established the Kamakura bakufu was weak. Yoritomo appointed the Shoni clan, the Otomo clan and the Shimazu clan, which were not known in Kato but are supported by Yoritomo as reliable vassals, to shugo for Kyushu as existence like daikan (deputy). In the Kamakura Period, the control system for Kyushu consisted of the Shoni (Muto) clan for the Chikuzen Province, the Hizen Province, and the Buzen Province, the Otomo clan for the Chikugo Province, the Higo Province, and the Bungo Province and the Shimazu clan for the Satsuma Province, the Osumi Province, and the Hyuga Province. Below them, there were samurai who were formerly on the Heike side such as the Matsuura clan, the Akizuki clan, the Kamachi clan, and the Kikuchi clan. At the beginning of the Sengoku Period, battles were repeated by three clans since the Heian Period, the Shoni clan, the Otomo clan, and the Shimazu clan to protect their interests and by kokujin gozoku in each country who were formerly jito to become independent. However, the power of the Shoni clan had declined already in the latter half of the Muromachi Period because it stood against Kyushu Tandai (local commissioner for Kyushu). Kokujin in Chikuzen and Buzen, such as the Munakata clan and the Aso clan were influenced by the Ouchi clan in the Chugoku district. The Shoni clan invaded frequently into Chikuzen leading troops of the Hizen Province and the Tsushima Province in order to sweep the Ouchi clan, but it was ruined by gekokujo by the Ryuzoji clan who joined the side of the Ouchi clan. After this, the Ouchi clan was ruined by the Sue clan, Hizen became independent and Chikuzen and Buzen got interfered by the Otomo clan. As affiliated families of the Mori clan that ruined the Sue clan exited in both countries, the Mori clan and the Otomo clan started battles in North Chikuzen. Having Bungo as the base, the Otomo clan increased its power in Chikugo where Chikugo jugojo (literally, fifteen castles in Chikugo) represented by the Kamachi clan in South Chikugo exists and Higo where the Aso clan and the Sagara clan existed. When the Sue clan ruined the Ouchi clan, the Otomo clan supported the Sue clan and acquired also Buzen and Chikuzen. Yoshishige OTOMO protected Christianity and promoted trade with Spain and Portugal. However, the Otomo clan suffered a crushing defeat in the Battle of Mimi-kawa with the Shimazu clan and breakaway of many vassals and kokujin under its control repeatedly resulted in a quick decline of the Otomo clan. Taking advantage of such situations, the Ryuzoji clan that rose from the rebellion of the Shoni clan expanded its power in Hizen and, for a short period in the age of Takanobu RYUZOJI, grew to compete with the Otomo clan and the Shimazu clan. However, as Takanobu was killed in the Battle of Okitanawate, it lost its power quickly and then a senior vassal, Naoshige NABESHIMA took over. The Sengoku Period of the Shimazu clan began with an internal conflict in the family. However, Takahisa SHIMAZU who was a son of Tadayoshi SHIMAZU, a branch family, inherited the head family. Battles with a large number of gozoku, such as the Kedoin clan, the Hishikari clan and the Kimotsuki clan, repeated day and night. Later, under the control of Yoshihisa SHIMAZU, a son of Takahisa SHIMAZU, Satsuma and Osumi were unified. After the Battle of Kizakibaru, the Shimazu clan defeated the Ito clan, won a sweeping victory in the Battle of Mimi-kawa against Sorin OTOMO and completed unification of three countries, Satsuma, Osumi and Hyuga, and began battles to unify the whole of Kyushu. In the stage in which only Chikuzen and Buzen were remaining, intervention of the central troops of Hideyoshi TOYOTOMI commenced and the Shimazu clan surrendered. Powers in the Sengoku Period did not necessarily battle throughout the whole period day and night. It is certain however, that there was a tendency that the role of military power, namely armaments, as at least available means in solving various problem occurring between such powers attracted attention. Such powers gave attention to preparation, maintenance, and improvement of armaments. It was the same with respect to sengoku daimyo, kokujin, and dogo, as well as religious organizations and autonomous organization. Religious organizations still used powers for maintenance of organizations of armed priests and constructions of buildings for temples that could be used as the base of battle. 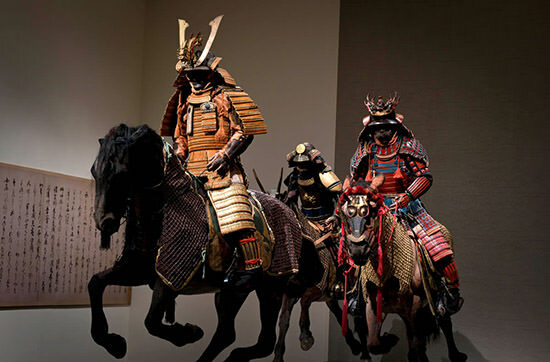 Also, autonomous organizations carried out construction of facilities for defense, such as scaffolding, wall, and moat, and made ronin (samurai who left his master and lost his horoku (salary)) into mercenaries. It is noted that, in all social classes, there was a certain type of "belief in power" as seen in the fact that, although it was in limited scale, certain court nobles were engaged in military activities which could not be deemed for self defense purpose only. Battles in the Sengoku Period include various forms of war such as armed conflict with low-intensity like demonstrative actions or skirmishes, a form of war that was to a certain extent comparable to later all-out war like the Battle of Sekigahara which was a decisive battle fought by dividing all forces in Japan into two and even if there is a doubt if we can say that it occurred in the Sengoku Period, it was on the extension of the Sengoku Period, and the Bunroku/Keicho War which was war to invade a foreign country. Judging from the total number of armed conflicts, most of them were exchanges of skirmishes/private wars which were conducted between neighboring unfriendly powers in the vicinity of the border of their territory or areas on which they could influence. 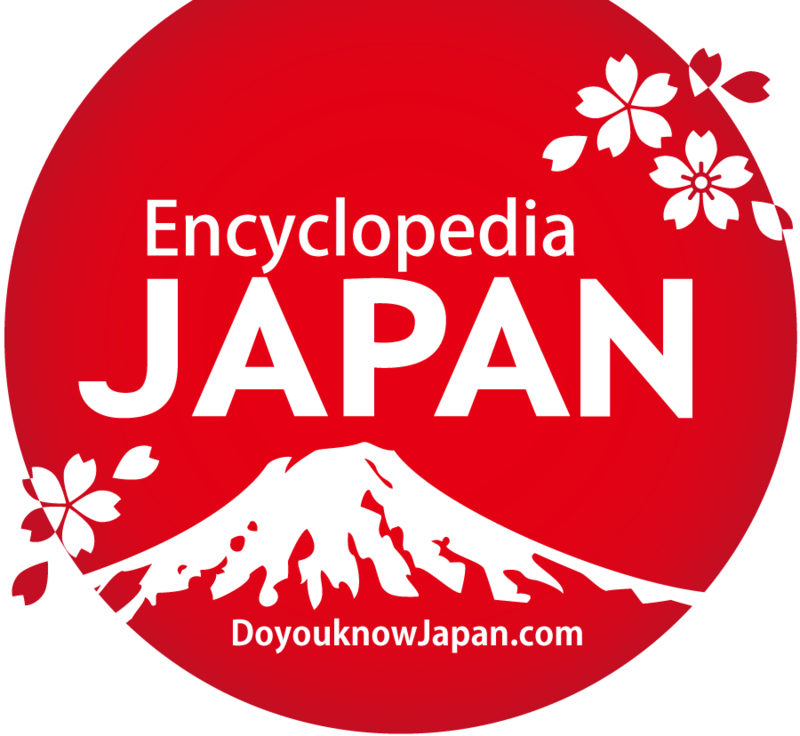 With the exception of certain castles constructed around the end of the Sengoku Period or in the Edo period, such as Himeji-jo castle and Matsumoto-jo castle (both of which still exist and have been designated as world heritage sites and national treasures), as well as Osaka-jo castle, Edo-jo castle, or Nagoya-jo castle (which are well known symbols of the history of the city by people of a wide range of ages), the majority of the castles that were constructed or used in the Sengoku Period are not well known. If we disregard the size or whether it is famous or not, there was more than one castle in a village and therefore, they attracted attention in recent years from the viewpoint of local history. Also, they are told as a stage of a story like rakujo aishi (stories about fall of castles) derived from historical facts that the castle that was used as a base by a busho (military commander) of the homeland fell by attack by strong opponent. Furthermore, in the modern age, ruins of castle sometimes attract attention as a stage for mysterious phenomenon, for example, so-called shinrei spot (haunted places). 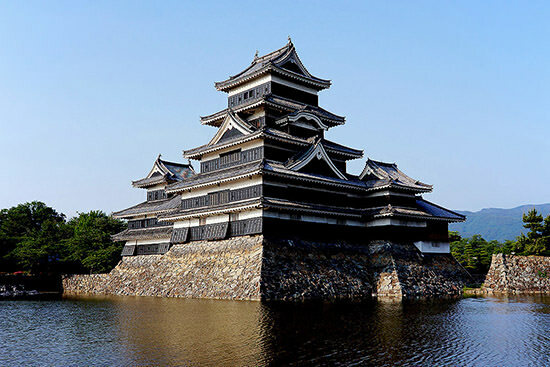 This means that many of the famous modern castles have not experienced actual fighting, at least in their current conditions and therefore they have structural remains which have been well preserved and, on the other hand, one of the reasons why castles in the Sengoku Period were ruined or could not be changed to a modern castle is that they experienced falling and then were abandoned. As castles of the Sengoku Period are not "well-known and famous," precious structural remains are sometimes destroyed without sufficient research and recording in developing land. Permanent castles in the Sengoku Period are generally said to be "tsuchi no shiro (castles made of soil)" in Togoku (eastern part of Japan) and "ishi no shiro (castles made of stone)" in Saigoku (western part of Japan). It is understood that this is because castle construction using stone walls was developed in Saigoku which was culturally advanced area at that time and in Togoku, it was difficult to obtain stone materials which were suitable for castle building and therefore, dorui (earthen walls) were often used. However, this view has a problem that the fact that there is a difference in the amount of work for construction of stone walls and dorui is ignored. Also, it contains an idea that the existence of stone walls is supreme. In recent years, studies on individual castle building technology that each sengoku daimyo was specialized in and showed unique character has been advanced. This is also closely related to tactical doctrine of individual sengoku daimyo. Depending on the region, various devices in nawabari (castle plan; general term for the layout of a castle and its component structures) are seen such as kuruwa umadashi (walls of a Japanese castle and it refers to one of the types of the arrangement of a defensive territory around the castle) that is mainly seen in castles in the territory of the Takeda clan in the Kai Province and which is used as a base for interception and shootings, supplementing each other, moat of horijiro (castle surrounded by a moat) for controlling the route of invasion of opponents which is mainly seen in castles in the territory of the Gohojo clan in the Kanto district or in the northern part of Kyushu, and castles with many yagura and boro (watch tower) used as bases for shooting, which are mainly seen in Kinai, in which a large number of matchlock guns were traded. Continuing from the latter half of the Muromachi Period and partly because of influences of disturbances of war, as the flow of persons and cargo was activated in the Sengoku Period, the relative value of currency increased. In particular, the beginning of the Sengoku Period was a stage in which money economy was established, through trade between Japan and Ming such as the tally trade (between Japan and the Ming dynasty) and private trade, which was a kind of smuggling, by introducing from the Ming, not only import articles but also a large quantity of copper coins. With visits of Europeans to Japan also, import and export of gold and silver became popular because of the exchange ratio between gold and silver. 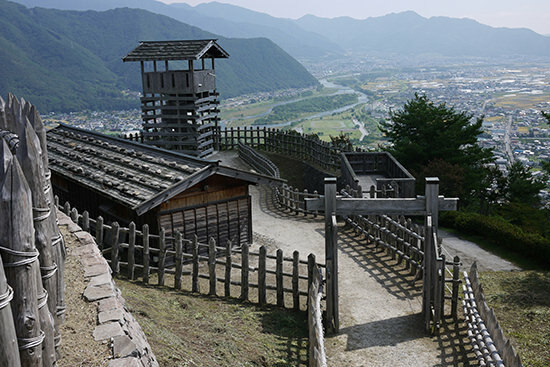 As a result, for sengoku daimyo, operation of gold and silver mines in the territory increased their strategic importance as a means to raise war funds as represented by Iwami Ginzan Silver Mine which was designated a World Heritage as commenced in the Sengoku Period. In order to improve the quality of produced gold and silver, sengoku daimyo introduced actively new technologies such as cupellation, and production from iron sand using bellows. In addition, fortresses whose main purpose was to retain gold or silver mines, were constructed and the scramble for gold and silver mines was repeated. On the other hand, in agricultural community areas, shoen (manor in medieval Japan) existed in various districts became objects of seizure by sengoku daimyo and kokujin ryoshu and the shoen system was broken down. Although a part of myo taisei (local tax management system based on rice land) and the shiki system (system of occupation) was left in the taxation system, averaging of burdens such as tax progressed gradually led by daimyo. One cultivator policy was established and shakko (borrowing land for cultivation) land became popular and kajishi (land rent) and sakutokubun (profit which was left after paying land tax) began existing. Under sengoku daimyo, large-scale development of new fields and maintenance of irrigation were promoted utilizing civil engineering technology developed in castle building technology for agricultural purposes. According to "Shugaisho (an ancient encyclopedia in 14c)," the total area of rice fields and vegetable fields for the whole of Japan was one million chobu (approximately, 99,174 square kilometer), but in "Keicho nihonzu hensan (the compilation of the map of Japan in the Keicho era)"in the Keicho era it was 1. 6 million chobu (approximately, 158,978 square kilometer). Also, in various places, production of indigenous products other than rice began and tea from the Yamashiro and Yamato Province and mandarin oranges of the Kii Province were well-known. Also, production of cotton became popular in this period. As central commercial areas, Sakai and Hakata, which played the role of a hub port, flourished. For transportation between bases, transportation by water was used largely and it functioned also as a part of the transportation network in Southeast Asia. In particular, prosperity of Sakai was quite significant. Under the council system by nayashu (wealthy merchants who led autonomous organizations in cities), who were egoshu (members of council), it established autonomy and refused control by sengoku daimyo by surrounding the whole city with a moat and employing ronin as mercenary. However, because of Nobunaga ODA&apos;s rise, it lost its power. Other than those, Kyoto and local cities such as Yamaguchi, Obama, and Shinagawaminato played the role of a collection center or transit point. Switch of tactics from individual fighting to mass fighting increased demands for weapons and body-armors. 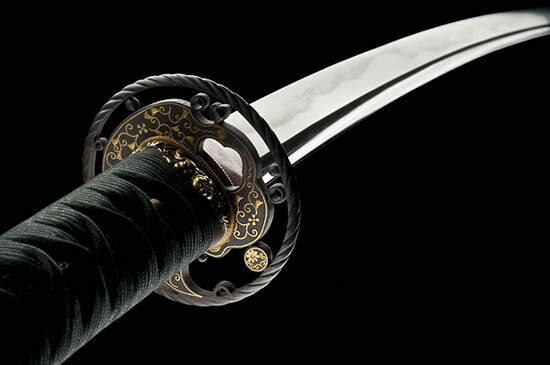 Craftsmen such as swordsmith also switched from a manufacturing method centering on article-by-article production with swords inscribed with the name of the swordsmith to quantity production with an eye on disposal to a certain extent. In addition, inflow of firearms such as the matchlock caused an increase of mass-consumption type items such as gun powder to munitions materials, a certain part of which could be procured by commandeering in an emergency, increasing the importance of logistics. Merchants who contracted for heitan (logistics) of sengoku daimyo as "merchants of death" such as Shirojiro CHAYA emerged. At the beginning of the Sengoku Period, battles which were usually conducted in off-season for farmers were an opportunity for peasant soldiers for short-term employment with ikkyoryotoku (killing two birds with one stone) where they could obtain wages to be paid and army provisions including a combat ration, in other words, cash income and a decrease in payment for food. Hisashi FUJIKI discussed in his book "Zohyotachi no Senjo (literally, "Battle fields of zohyo (common soldiers)" (The Asahi Shimbun Company) about "War to survive" by zohyo carried out in the field of heroic activities of sengoku daimyo. In the back of this general image of battlefields, battles by struggling samurai zohyo, were keen on depredation called "randori" than battle. Fire setting, robbery by karita (to reap rice), and kidnapping common people or farmers as slaves were criminal acts even in Sengoku Period. However, in the battlefield in sengoku, such acts were allowed as legitimate. Zohyo subsisted by repeating such riotous behaviors and the battlefield was the place for earning to survive. Sengoku daimyo also acknowledged randori in order to drive out zohyo to war without prize and allowed robbery as award. 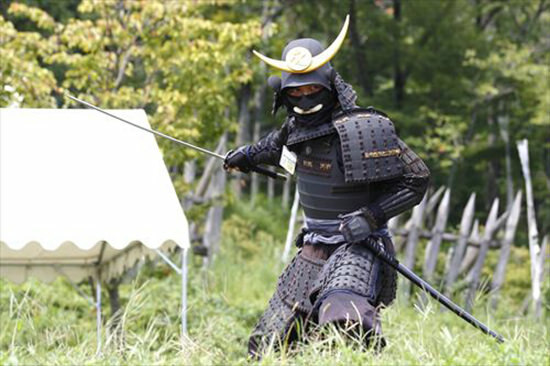 Kenshin UESUGI (Kagetora NAGAO) in Echigo dispatched troops to other countries actively. This was carried out during the winter time regardless of whether it was short-time (northern Shinano) or long-time (Kanto) and Fujiki pointed out that this has the nature of "work away from home" and "reducing the mouths to feed. " There are records of slave hunts and robbery in many places and certain people were sold to overseas countries. Such robbery continued until the ban on human trafficking by Hideyoshi in 1587. Culture at the beginning of the Sengoku Period was strongly influenced by the Zen sect, same as Kitayama culture and Higashiyama culture. However, the general atmosphere of the sengoku jidai, which made gekokujo a principle covered culture also and became preparations for the manifestation of Momoyama culture which made "splendid" a principle. In particular, completion of "sado (tea ceremony)" by SEN no Rikyu, which can be said to include the idea of "wabi, sabi" based on Zen Buddhism and the ultimately splendid "golden tea arbor," which is handed down as the idea of Hideyoshi and for which opinion on beauty is divided, gives strong influence on the whole culture of Japan even today. Painters who actively worked in the Sengoku Period include Sesshu Toyo, Sesson, Mitsunobu TOSA of Tosa school, Motonobu KANO of Kano school and Tohaku HASEGAWA. Since the Muromachi Period, busho who had interest in creative writing and painting appeared. Persons from samurai families, the artistic value of whose works are highly accepted even today include Yoriyoshi TOKI of Takazu (painting of a hawk) (Toki no taka (literally, hawk of Toki)) and Nobukado TAKEDA who left portraits of his parents with "portrait of Nobutora TAKEDA" and "portrait of Oi Fujin (literally, lady Oi). " Emperors and court nobles as supporters of culture were forced to find their significance of existence in handing down culture and they themselves did so. Involving also men of culture among samurai, such as Tsuneyori TO and Yusai (Fujitaka) HOSOKAWA, they continued to hand down culture of yusoku kojitsu (court and samurai rules of ceremony and etiquette) and kokin denju (the secret transmissions of the "Kokinshu," Anthology of Old and New Japanese Poems). They sometimes evacuated to provinces to avoid the maelstrom of war. Tosa no nanga (Southern School (of Chinese painting)) was handed down in such way. With respect to samurai families, not only reputable families but also newly emerged power contributed promotion of culture. This was done mainly with the aim to make themselves look important by taking culture in, but it can be also understood as an expression of their wish to obtain consolation to ease their spirit by culture in an age of disturbance. It is an example that Yoshitaka OUCHI, who was a daimyo in Suo, tried to make Yamaguchi similar to Kyoto by inviting many nobles from Kyo. With respect to religion, propagation of religious schools that started with a pessimistic way of thinking and desire for indulgence and later showed anxiety for salvation and strong solidarity such as the Nichiren sect and Jodo Shinshu (the True Pure Land Sect of Buddhism) succeeded. On the other hand, Christianity that came from abroad started to also expand.